Here, George Jolly, longtime board member and retired social worker, explains what the House and our community mean to him. Being a social worker, you’re working with people. That always has an impact on your life, because of the stories people share with you. The impact of the House is that I’ve seen young people come in and go from daycare, to being teenagers, to working in the teen program, and that’s been a great joy to see happening. People come in and become more involved. You watch them share their stories, and their stories have helped other people who are new and coming into the community. Things were always funny at the House, because people are funny! I remember saying, the Neighbourhood House is like a family. People are always in your way, in a good way! Kids running by you, seniors bumping into you, the smell of food from the kitchen, telephones ringing. It’s the hustle and bustle of the place that I really liked. It was a place that I felt connected to, I think, one of the few places that I felt connected to. 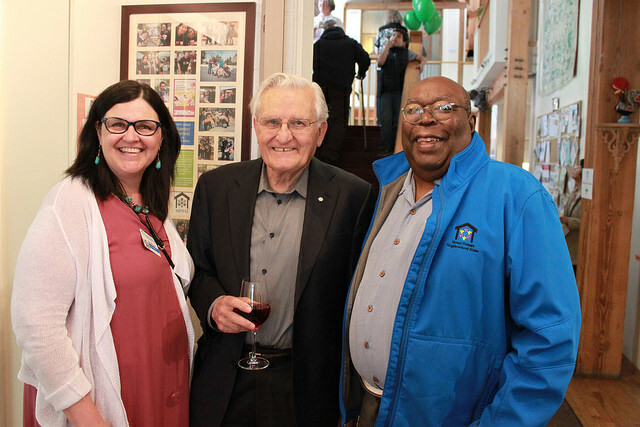 I don’t come as much now, because of my health – but I still feel connected to Mount Pleasant Neighbourhood House.